An old, outdated website does nothing for an organization’s image, and it’s even less productive when the site is so difficult to update that no one ever wants to do it. That’s the problem Davison Assembly of God was struggling with when they called JJ Roth Design. Their existing site was so outdated, and the content management system so difficult to use, that it was no longer working for their church. 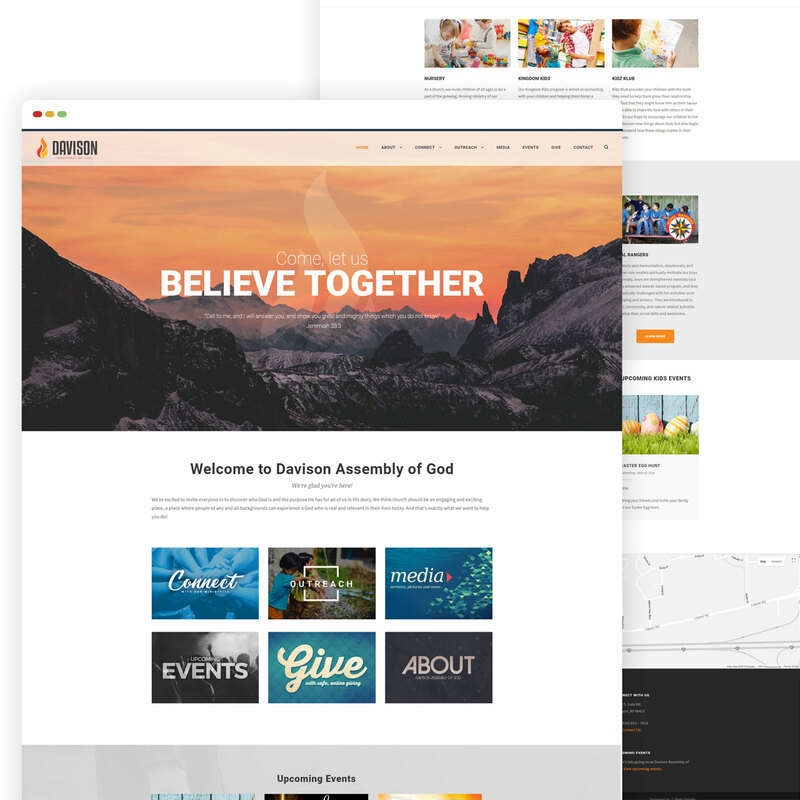 After an in-depth consultation with the church’s staff, JJ Roth Design developed a customized website solution that not only brought the church into the modern world of website design, but it provided their staff with an easy-to-use content management system. This means the church is able to post updates, events, and news without the headaches of their old CMS. We also developed custom graphics for events and ministries, making the site pop with color and increasing the overall interest level of visitors. In the first two months since it launched, the site saw 8,000 visitors taking advantage of the new, improved design.